Discovering new worlds with Viking Ocean Cruises–the Iberian Peninsula! 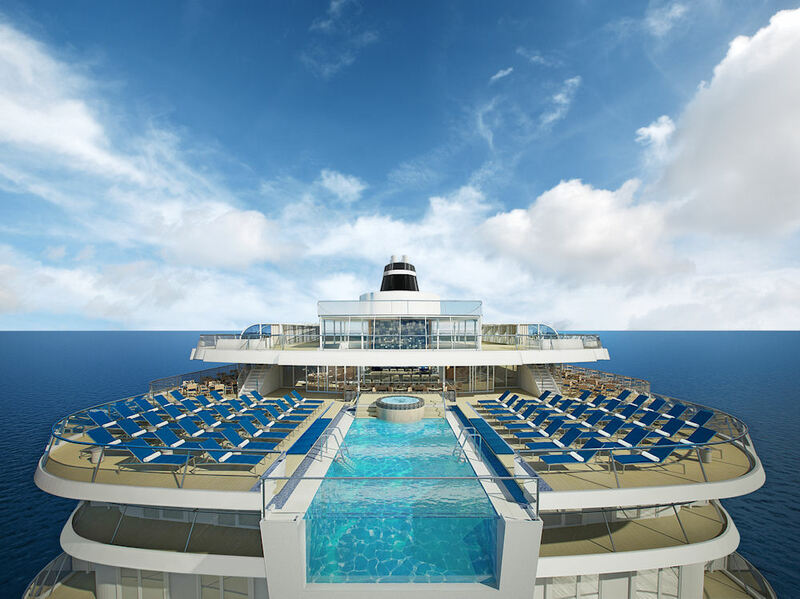 Viking Ocean Cruises' Viking Star aft view of cruising's FIRST infinity pool. Photo: ©Viking Cruises. Time flies when you're having fun and with Viking Cruises, it's no exception! With the record-breaking success of Viking River Cruises over the last few years, Viking was ready to stretch its maritime muscle to the seas and in May 2013 announced their uncharted course, a new venture—Viking Ocean Cruises. It's hard to believe that it's been two years since their Nordic premier in Beverly Hills when Tor Hagen, CEO Owner of Viking Cruises, announced their ambitious plans to sail the seas of Europe! 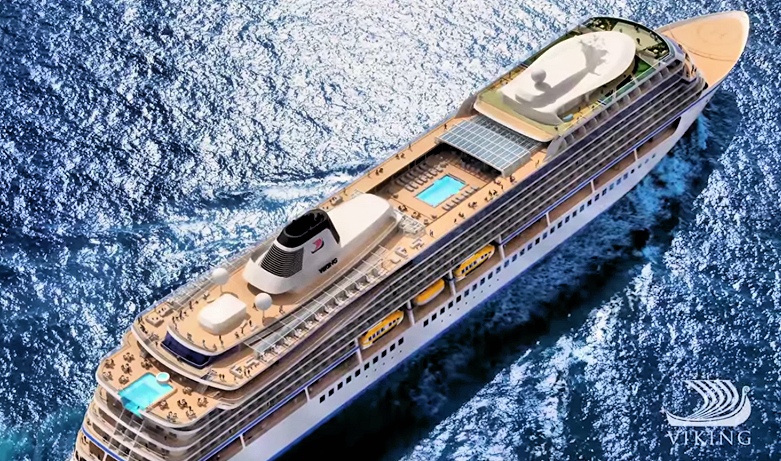 Viking Star Float Out ceremony Monday, June 23, 2014, at Fincantieri's Marghera shipyard outside Venice, Italy. Photo: ©Viking Cruises. 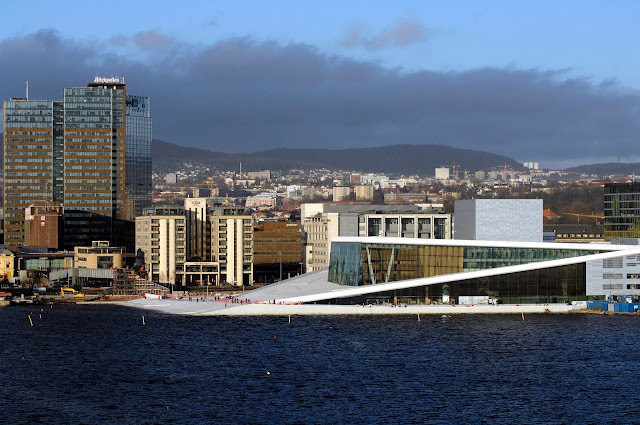 Fast forward to 2015, and Viking Oceans is underway with inaugural sailings, preview cruises and the upcoming christening event in Bergen Norway on May 17, Norway's Constitution Day, when the first of three planned vessels will be christened—the Viking Star. 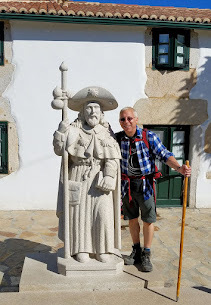 As for me, I am thrilled to be part of a special preview cruise onboard the Viking Star for five nights sailing from Barcelona, Spain, around the Iberian Peninsula, to Lisbon, Portugal. 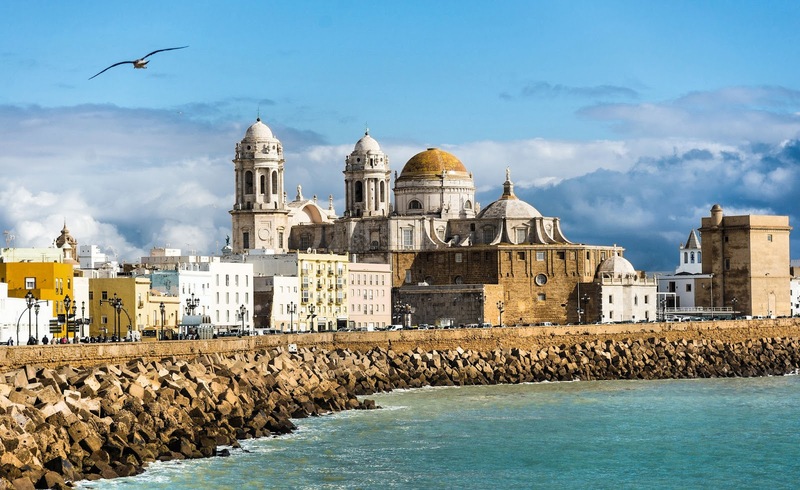 Voyage around the Iberian Peninsula with Viking Ocean Cruises. Photo: Google Maps. 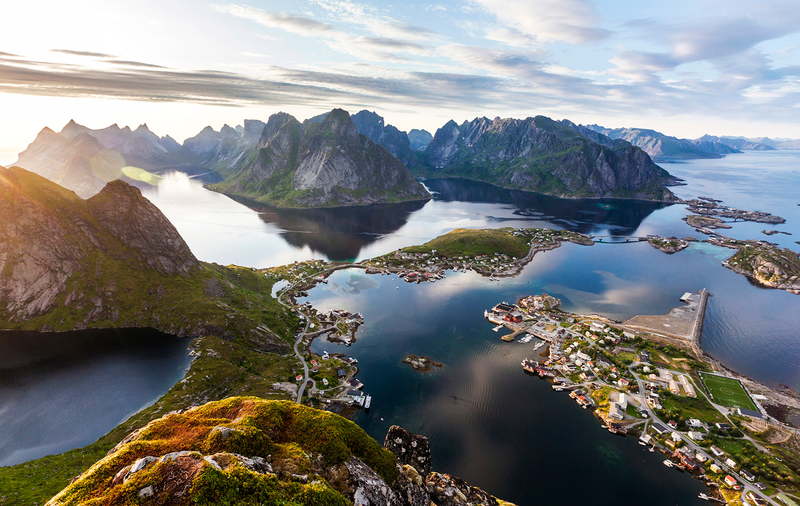 Having never been to either of these countries, this will be a voyage of undiscovered worlds rich in cultural heritage and tradition that undoubtedly Viking will bring to life as we explore foreign lands. And it's not only about the destinations, but the voyage along the way—the new world of the Viking Star, smaller in scale than the behemoths sailing the rest of the world, this voyage is going to one of exploration and cultural immersion on a small-ship scale. Accommodating just 928 passengers in all-veranda ocean-view staterooms, the Viking Star promises direct access to ports, specially designed itineraries to highlight destinations visited, and onboard enrichment programs to round out cultural immersion that guests will soon enjoy. While I am not a big fan of the super liners or the experience thereof, the more intimate Viking Star will be something very special and I am thrilled to be a part of their first ocean-going venture, and to see how the Viking experience translates from the rivers to the seas. The "Passion" facade of the incomparable Antoni Gaudí's "Sagrada Famìlia" in Barcelona, Spain. Photo: Wjh31, WikiMedia.org. Our voyage begins on May 2 in Barcelona, Spain, the capital of Catalonia and home to some of the world's most visited attractions including the incomparable Sagrada Famìlia or Church of the Holy Family, under construction since 1882 and won't be completed for another 50 years; Gaudí's fanciful Park Güell; Poble Espanyol, an open-air museum, a living showcase of the Iberian Peninsula's architectural diversity originally built for the 1929 Barcelona International Exposition; shopping along Las Ramblas and exploring the Modernista architecture, Catalonia's answer to Art Nouveau at the turn of the 20th century; the Picasso Museum and let us not forget tapas—my first authentic taste of these delicious morsels steeped in Spanish tradition. 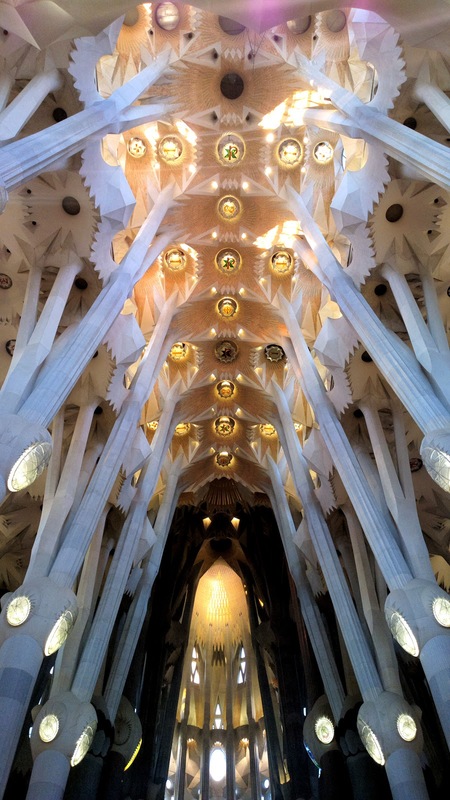 Soaring vaults stretch to the heavens inside Sagrada Famìlia. Photo: Mstyslav Chernov, WikiMedia.org. Gaudí and Güell's fanciful "Park Güell." Photo: Bernard Gagnon, WikiMedia.org. 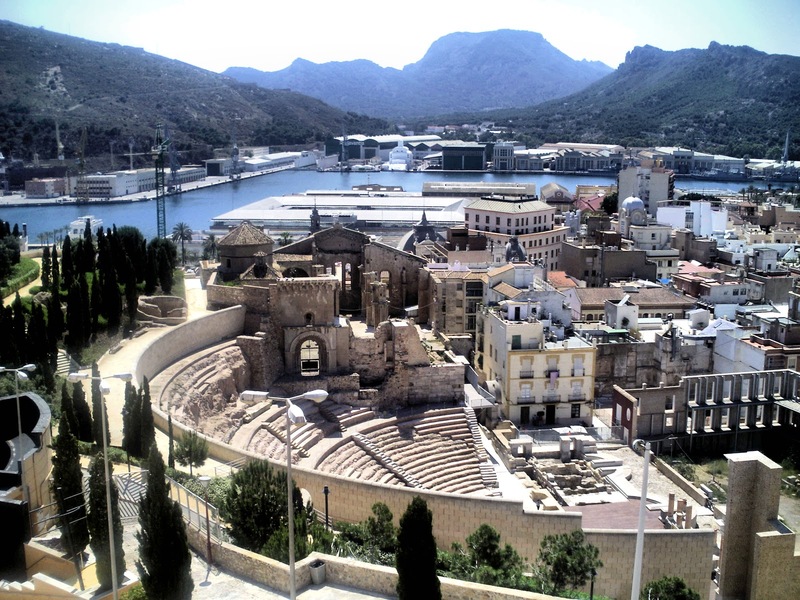 Roman Theatre of Carthago Nova in Cartagena, Spain. Photo: Alejandra Diego Eguren, WikiMedia.org. 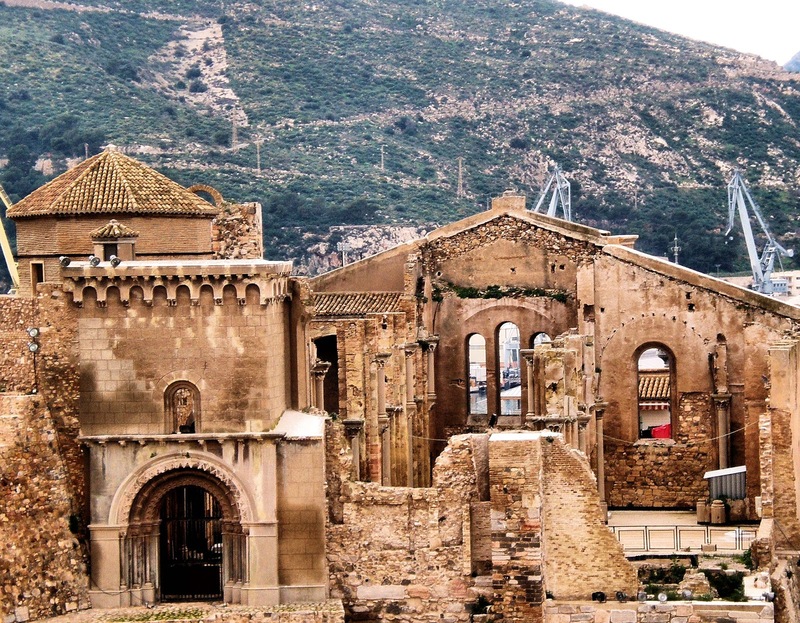 We set sail the following day after lunch and arrive on May 4 at the port of Cartagena, Spain, for a journey back in time to the second century B.C. at the Roman Theatre of Carthago Nova (Roman name for Cartagena) recently discovered in the 1980s; the National Museum of Underwater Archeology highlighting maritime history in this area that dates back to the ancient times; the ruins of the 13th-century cathedral—Cathedral of Santa María la Vieja; the Roman Forum; myriad Art Nouveau architecture and more. The 13th-century cathedral of Santa María la Vieja. Photo: Ventimiglia, WikiMedia.org. Another shot of the ruins of Santa María la Vieja. Photo: Murcianboy, WikiMedia.org. Around the Rock of Gibraltar and through the Pillars of Hercules we will go! Photo: Mohd Nor Azmil Abdul Rahman, Creative Commons license. Lunch time on May 5, the Viking Star lands in Gibraltar where we'll remain in port until 11 p.m. En route, we'll catch our first glimpse cruise of the towering Rock of Gibraltar rising 1,400 feet above the Mediterranean Sea. Contained within its limestone shell, prehistoric caves, chief among them is Gorham's Cave, a shelter used by Neanderthal Man dating back 128,000 years ago. Inside Forbes' cave near the top, a human skull 20,000-40,000 years old was found—we know her to be the "Gibraltar Woman." 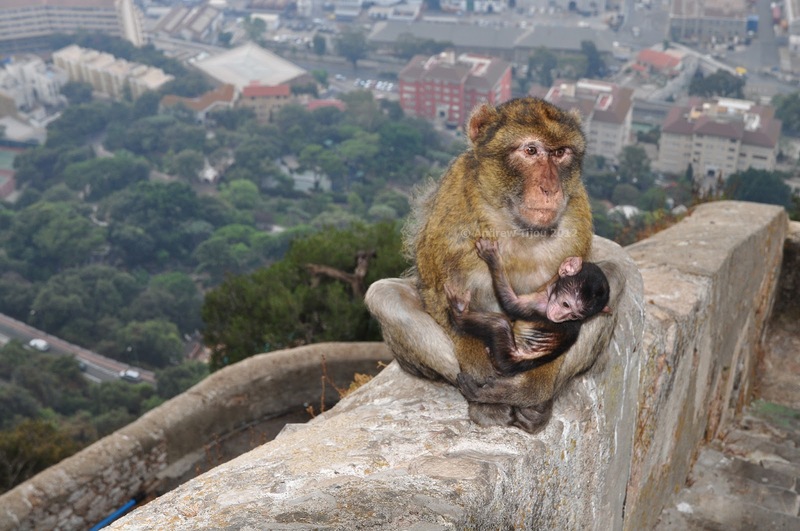 At its top, the Gibraltar Nature Reserve is home to some pesky denizens—Barbary macaques. I understand these little rascals like to have fun with the locals and visitors too! I can't wait! The Rock of Gibraltar is home to some pesky rascals—Barbary macaques. Photo: Andrew Tijou. 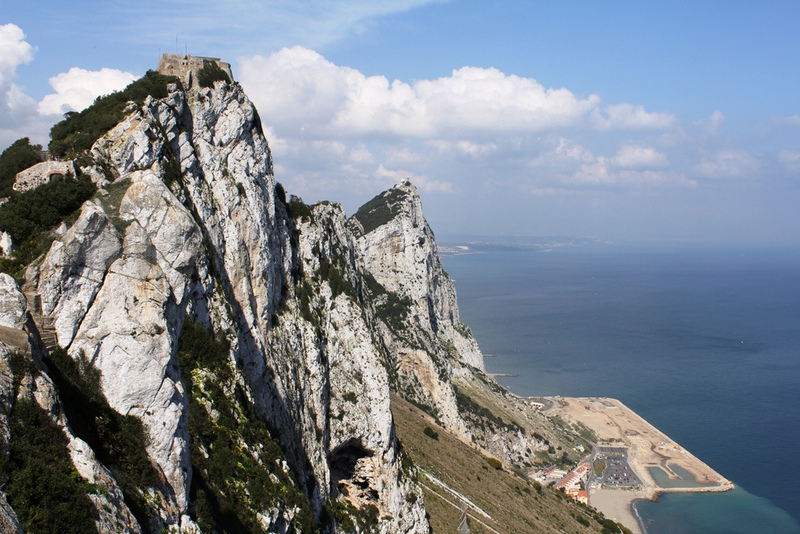 Did you know that the Rock of Gibraltar is a British territory? Photo: Paul Fuller. More of the Rock. Photo: Joshua. 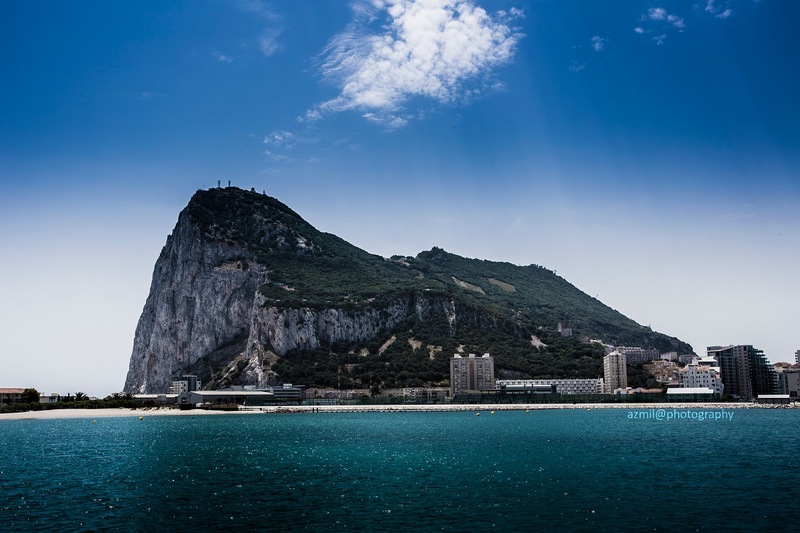 When we finally depart Gibraltar, we'll pass through the Pillars of Hercules—a one-time gateway marking the boundary of the known world according to the ancient Greeks. The Rock of Gibraltar is one of two that flank the Strait of Gibraltar. Across the sea, 15 miles away, is the other—the Jebel Musa or Mount Moses in Morocco! The coast of Cadiz, Spain. Photo: Franco Beccari. 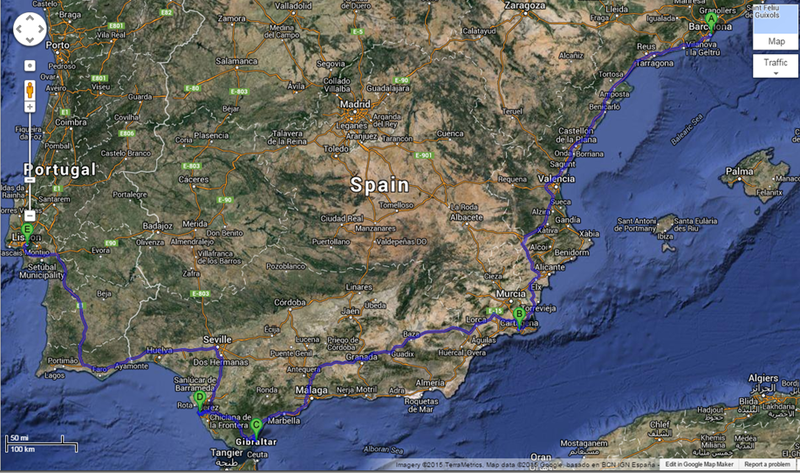 May 6, we arrive in the Port of Cadiz where we'll embark on a journey to Seville, Spain. 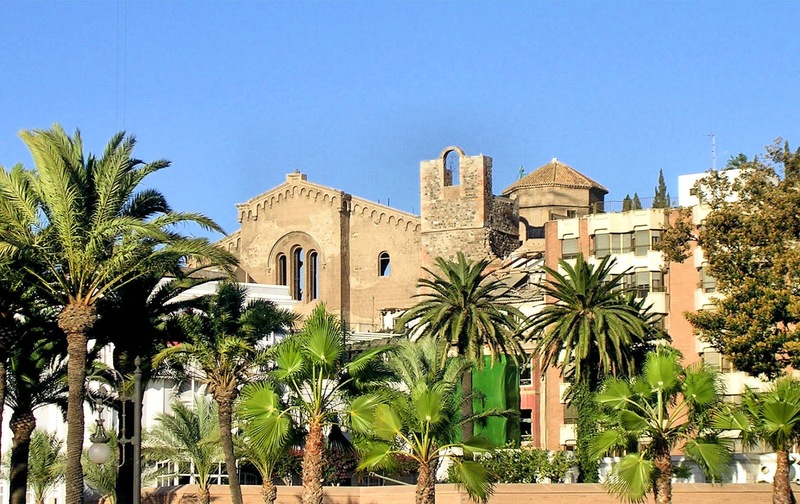 This is Andalucia, the southernmost province of Spain and home to the Flamenco; futuristic landmarks leftover by the 1992 Barcelona International Exposition; the Alcàzar of Seville, a royal palace time capsule recording the last 1,000 years from the Arabic to the medieval, Renaissance, Baroque and 19th century; the world's largest Gothic cathedral—the Seville Cathedral Saint Mary of the See, the final resting place for Christopher Columbus. A new era in ocean cruising is about to begin with the most anticipated ship of the year—Viking Ocean Cruises' "Viking Star." Photo: ©Viking Cruises. As you can probably imagine, my voyage on Viking Oceans' Viking Star will certainly be a journey of discovery—of history, geography, cultures, art and tradition—at the very heart of Viking Cruises, river or sea! I hope you'll follow along on Twitter, Facebook and Instagram as we journey around the Iberian Penisula beginning May 2! Without question, Viking Oceans will redefine the ocean cruising experience just as it did with river cruising. A new class of ocean liners infused with the understated Scandinavian elegance that Viking is well known for on a much grander scale. In 2016, sister ships Viking Sky and the Viking Sea will enter service with all three Viking Oceans vessels exploring Scandinavia, the Baltic and the Mediterranean. 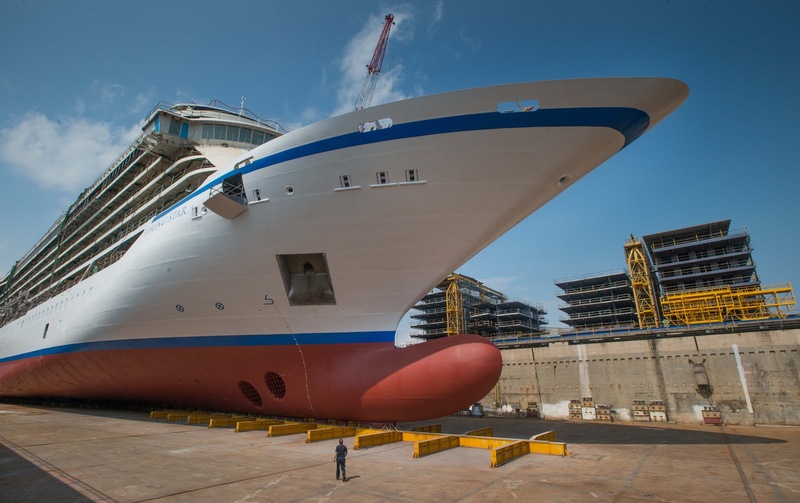 On March 30, Viking Cruises announced that they took delivery of the "Viking Star" marking Viking Cruises entry to the ocean cruising industy! Actually, final delivery took place on March 28 in Venice, Italy, at the Fincantieri's Marghera shipyard just outside the timeless city. The maiden voyage begins April 11 when the Viking Star is underway from Istanbul and cruising along the Mediterranean. After Venice, Italy, she'll make her way to Barcelona. After my cruise, it's off to the United Kingdom eventually landing in Bergen, Norway, for her Christening May 17. Join me in congratulating Tor and Viking Cruises on the realization of a dream, the conquest of a vision, the reality that is Viking Cruises! What an exciting itinerary! Viking Oceans cruise sounds a stellar way to sample highlights of the Iberian Peninsula. I can't wait for your coverage and photos. Watching the coastline of Spain and Portugal drift by while one floats in the ship's infinity pool would be a surreal dream come true! I couldn't agree with you more Lesley! I hear Andalusia is a very special place among the rest of the stops on my itinerary. 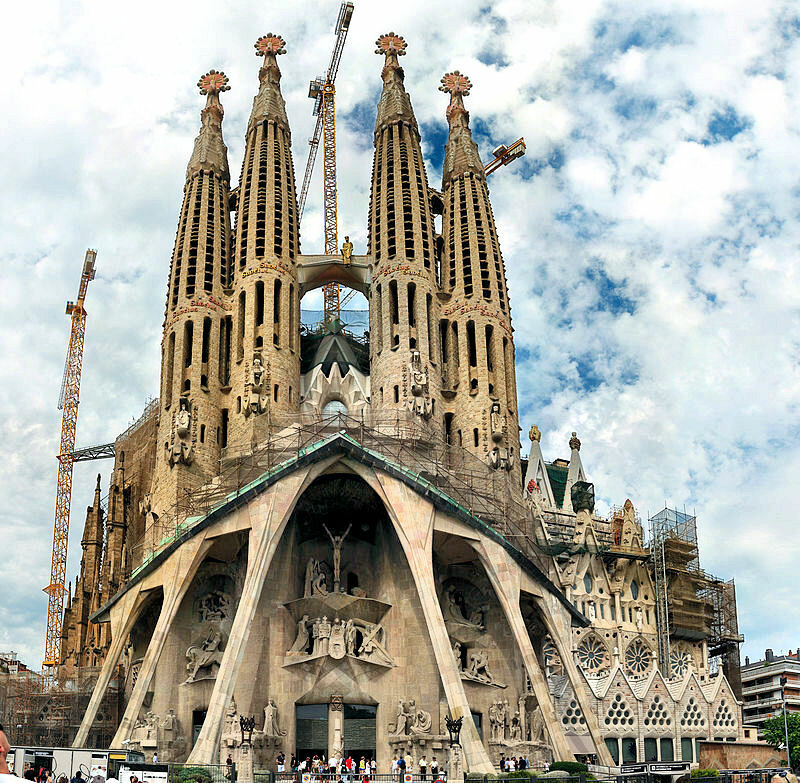 I am really looking forward to experiencing Spain for the first time as well as the new Viking Star! Even more, looking forward to sharing with everyone! Thank you so much for stopping by and sharing your thoughts! Love it! This sounds like a wonderful itinerary. One of these days we'll make it on one of these great Viking ships. Lucky you! The Viking Star is certainly going to be a special ship my friend! Really looking forward to seeing how the Viking experience translates from the rivers to the seas! Thanks so much for stopping by and be sure to follow along starting May 2 for complete coverage of the voyage. I have never been to a cruise so it is hard to imagine how it really is. But these pictures make me wanna go! Oh Agata, you have to cruise someday and soon!! I am not a big fan of the mega ships out there with 4,000 people sharing your space but smaller ships and river cruises are splendid! Thanks so much for stopping by and sharing your thoughts!! 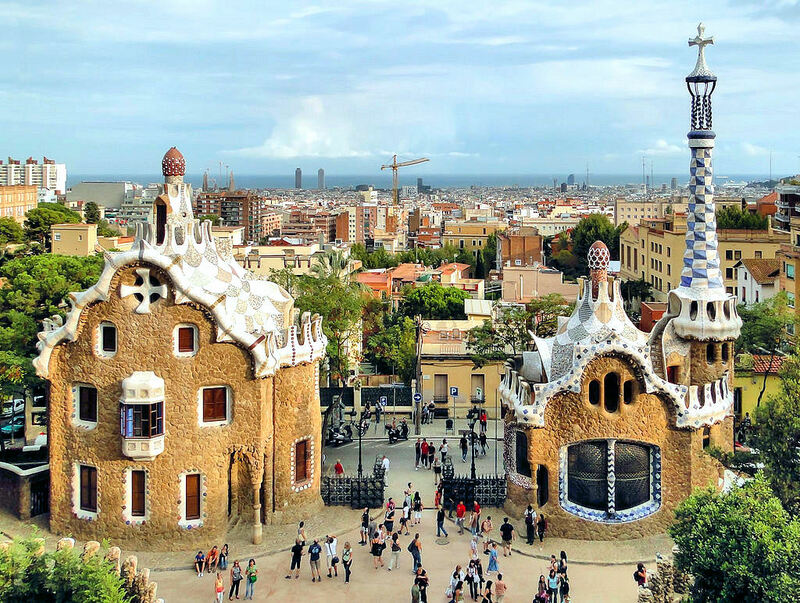 I'm looking forward to seeing all the architectural styles you're going to discover: ancient Roman, Art Nouveau, Moorish through the South of Spain, and Gaudi (a style in itself!) Can't wait to read about your journey! Ciao Christina and thanks so much for stopping by! Leave it to Viking to put together a journey like this. I have never been to Spain or Portugal and really can't wait to discover all of it. Ah yes, the architecture and the art will certainly be the highlights but connecting with the cultures will be equally sublime! I can't wait. Thanks again for your encouragement and kind words! I'm not a cruise person either, but river cruises have intrigued me for a while. But this? What an amazing journey!! Hi there Jessie!! I agree, it's going to be an amazing voyage especially because I've never been to Spain or Portugal before - a real journey of Discovery. Of course not as adventurous as you're accustomed to. ; ) Thanks so much for stopping by and sharing your thoughts! I've only been on one luxury cruise and have been wanting to do another since 2011. A Viking cruise is high on my bucket list. Great destinations on this. Hi Penny! I couldn't agree with you more about the ports on this itinerary. But more importantly, this is uncharted waters for Viking with the introduction of their first ocean-going vessel and I am so excited to see how the Viking experience translates from the rivers to the seas. Thanks so much for stopping by! I have been longing to take a Viking River Cruise for so long, and this is a whole new way to do it! Ahhh! Hi there Lillie!! This is Viking River Cruises on steroids. ;) Big enough to sail the seas, small enough so that you don't lose the intimacy of small-ship cruising not to mention the fact that smaller ships have sail to remote ports not accessible to the behemoths of the seas, so to speak. Thanks so much for stopping by. If you have time check out the Maritime Museum in Barcelona. You will appreciate the Viking Star even more! Thank you Lakeview!! I certainly will!